Hello welcome back to my blog. sorry my post this last week is a little late, so I'll just have to post another card this week to help make up for my crazy schedule. 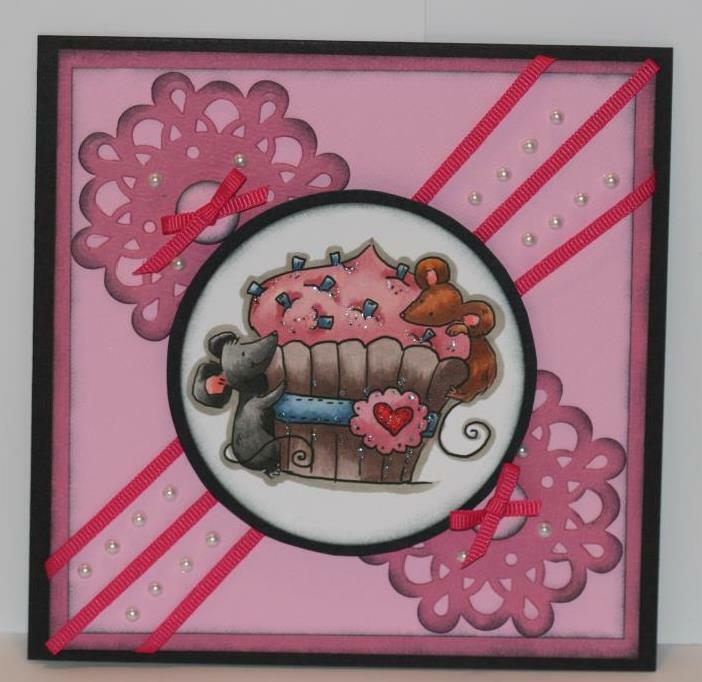 Hope your doing well and that I can inspire you to post a card or create today. I made this super cute cute card using a digital image from Whimsy stamps called Muffin from designer Lia Stampz. 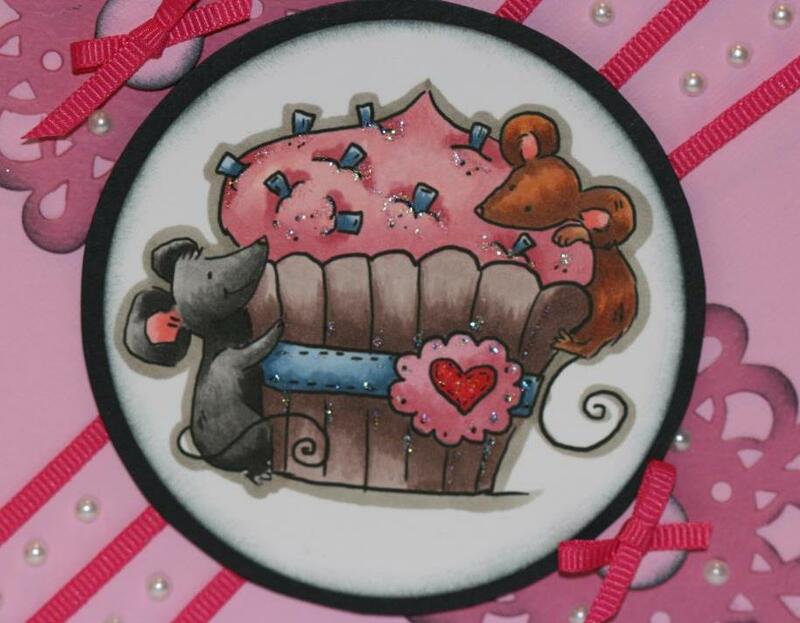 I colored this image using copic markers and used a new spellbinder for the little dollies on the edge of the card. I never did anything way over the top but I sure love the way this card turned out. Sometimes simplicity can speak volumes. I hope you have a fabulous day full of wonderful and happy things. I added a few strips of this really great ribbon I came across then put a line of pearls in between.The little dies are from spellbinders and are called Medallion seven. So here is my card for this week. A bit of a closer look at this adorable colored image. Love the colors, image cute...nice ribbon/bows...Very nice!